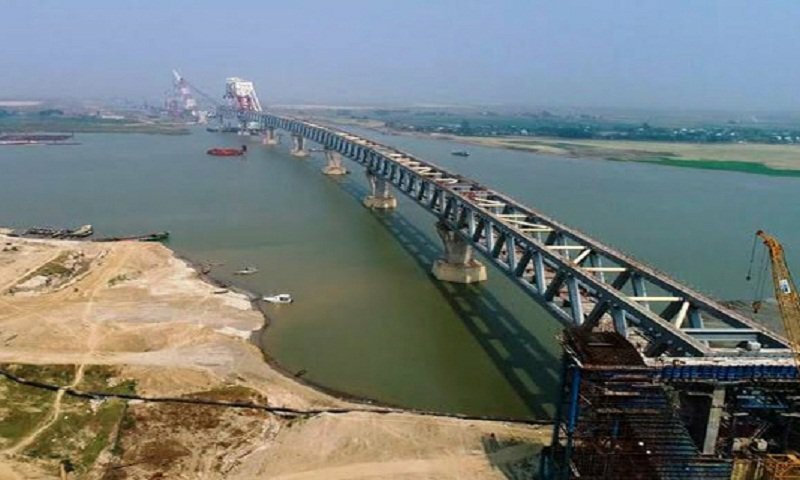 The ninth span of the 6.15-kilometre long Padma Bridge was installed on 34th and 35th pillar at Jajira end in Shariatpur district this morning. The 150-meter long ninth span was installed on two pillars at Janjira point at 8:30am today. With the installation of the ninth span at Janjira point, 1,200-meter of the main structure of this mega bridge has become visible, while 150 meters at Mawa point.